Primark Beauty Bronze Me Up Palette | Hit Or Miss? Now we have that rant out of the way - lets talk about how these products performed. Although I did just complain about the shade, I have to compliment the yellow tones in the highlight cream. Even if you have pink tones, the yellow should be used to brighten and bring features out rather than to conceal and correct. So it ticks that box. However, the formula feels as cheap as the product is. It's almost like kids face make up. It's very thick, not incredibly blend-able and there's a lot of creasing when applied to the under eye area. It kind of works if you apply just a little bit over a liquid concealer for brightening purposes, but I don't think I'll be reaching for it often. To the cream's credit it does works for smoother skin areas, such as the bridge of the nose and the chin, but for me, these areas aren't a priority. Similarly, the contour shade has the same faults. 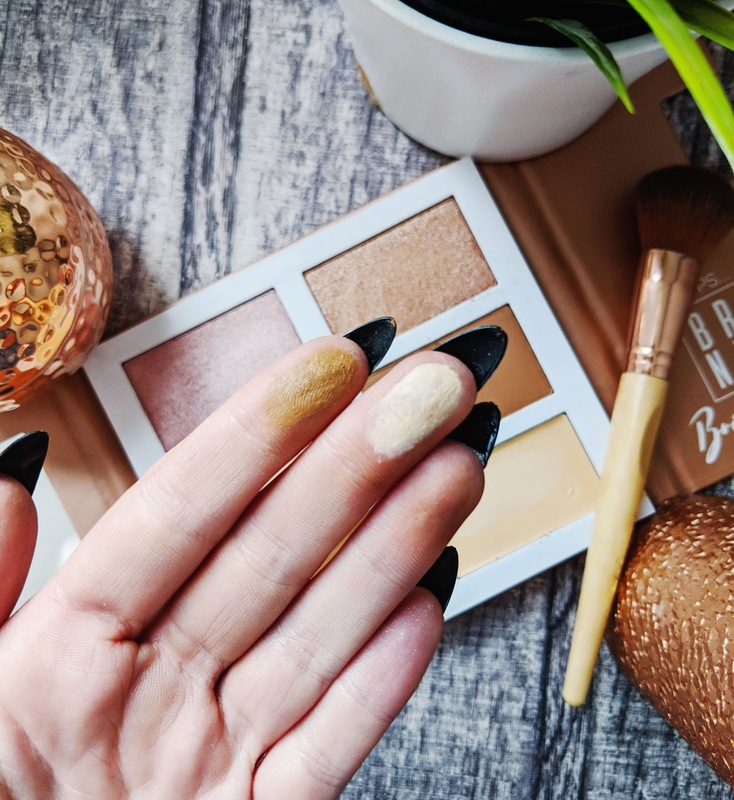 It doesn't blend well and on top of the other issues its too warm for a contour shade. It needs to be a cooler tone in order to create a shadow but this just leaves you slightly orange. The cream is difficult to apply because the formula is so stiff. It looks patchy and unnatural. Overall, these creams are just second rate. Unfortunately, these aren't that great either. Both are chalky and the contour shade just does not blend well. Again, I really like the yellow tones in the powder and will use this is combination with a loose powder. However, I can't see myself using this contour shade. I have tried with various applicators to try and make it work, but I just can't. It's patchy and just too warm and dark for me. It's not too bad as a crease colour for the eye though. Perhaps it's because applying to a smaller surface area leaves less room for error. It adds depth to the eye and doesn't provide much fall out. So although these aren't great for what their actual purpose is, I'll still get use out of them. If you're still with me after this rather negative review, well done! And the good news is, this post is about to take a bit of a plot twist. These highlighters are FANTASTIC. They are long lasting and give a super smooth application. 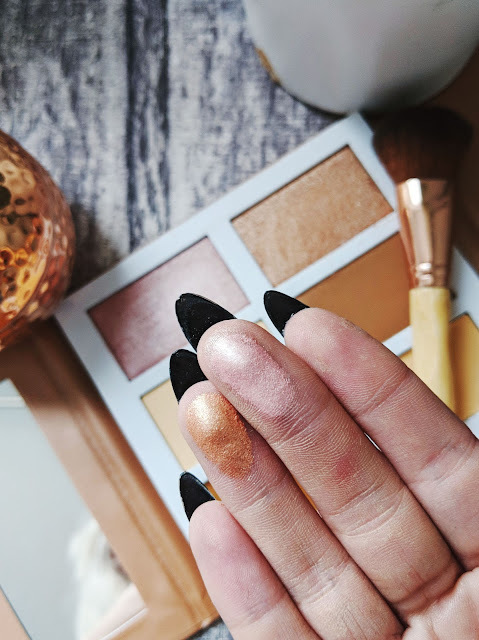 Sometimes shimmer highlighters are a little chunky and tend to look like bits of glitter on your face, especially when they are on the cheaper side. These give a fabulous instagram glow and will see you through the day. As a big bonus, the bronze shade is a beautiful eyeshadow. Swept all over the lid it gives a fantastic bronze glow. 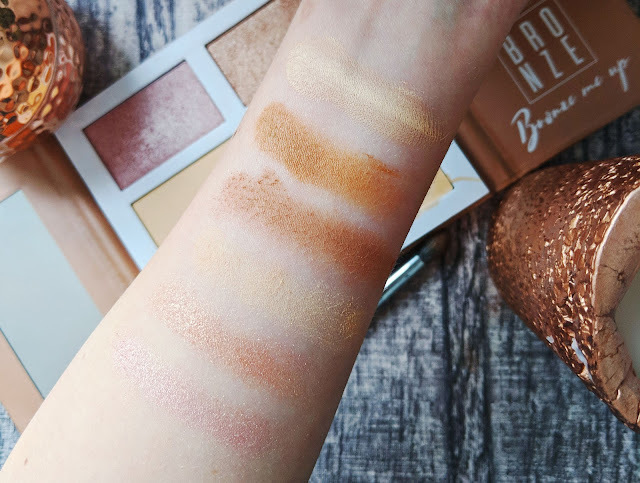 It's not crazy pigmented and reflects light beautifully so it's an instant soft glam. I really enjoy this packaging. 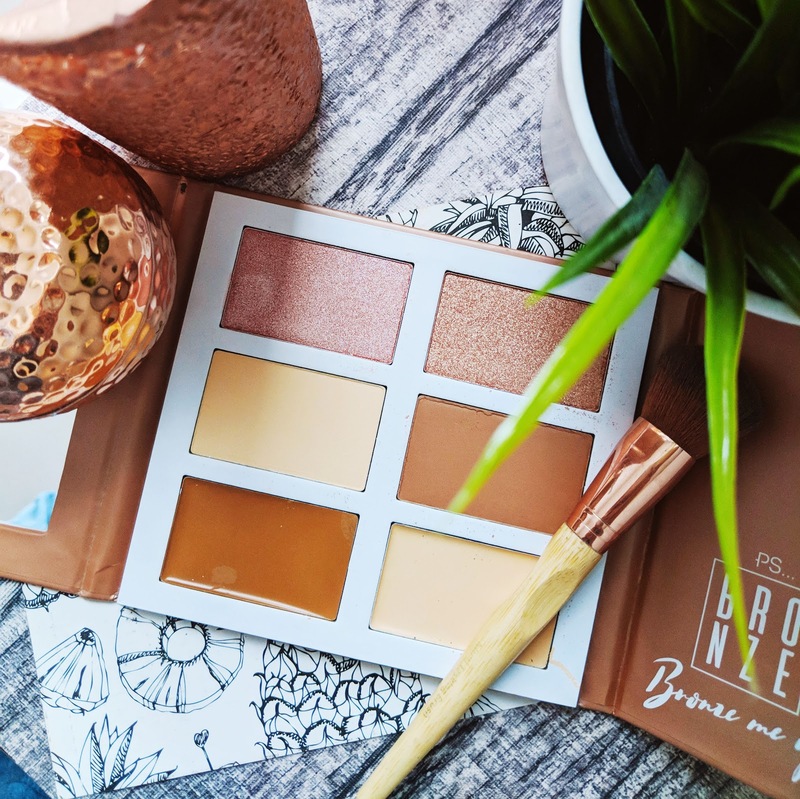 It's light weight, slim and comes with a mirror so is great for just popping in your handbag so you can top up during the day. The way is opens from the middle like a wardrobe is a really nice touch and I believe makes the product feel a little more glamourous. This review is a real mixed bag of opinions. Which makes the final question a little tricky to answer. But, due to the reduced price and superb highlights- I'm going to go with Hit! Even if I never use the powders and creams, I think that I've had £2 worth of product from just the highlights alone. Plus its durability for travel is a big bonus. 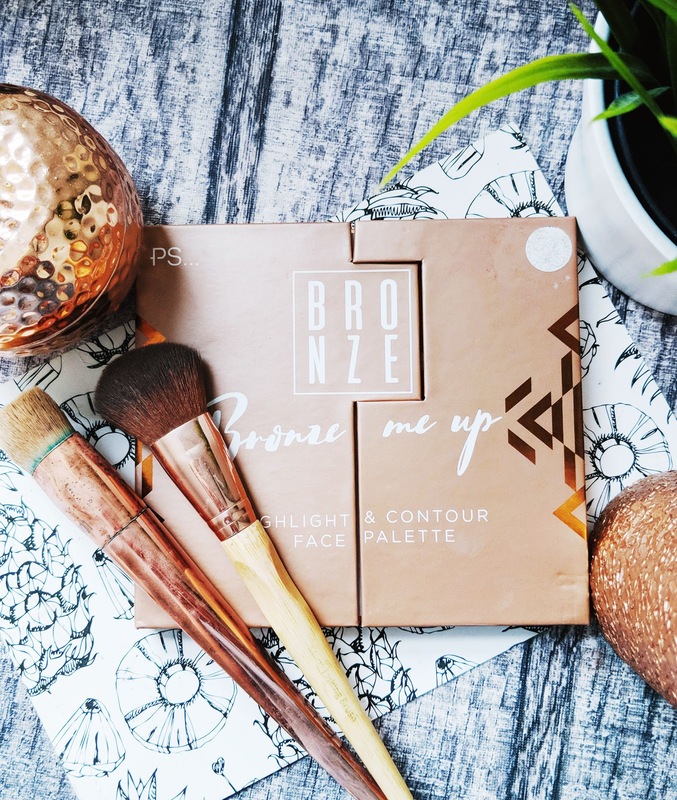 If you're after some highlights to add to your collection, then it's worth adding this to your basket on your next Primark Trip!